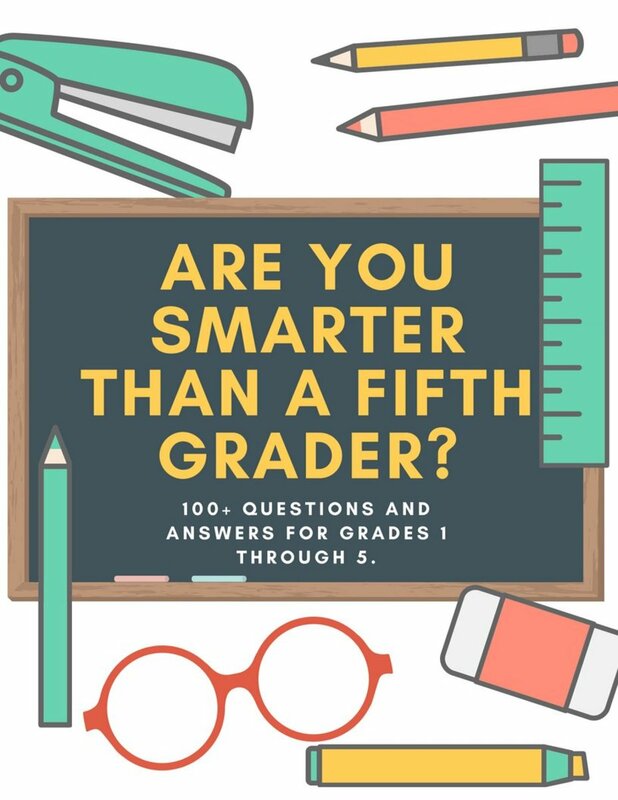 If you like myth busters, you might like this science project. Flowers are a multi-billion dollar industry and whether a person is getting them for a wedding, for Valentine's Day or for their mom, everyone wants to make sure those flowers don't wilt too soon. Florists and grocery stores often give customers a packet of preservative to put in the water of their vase. Do these really work? Is there a special solution which really makes flowers last longer? This science fair project tests homemade solutions, old wives tales, and a commercial preservative to see the truth. Are Floral Preservatives Worth It? For the last 10 years in the U.S., consumers have spent at least 24 billion dollars on flowers. Floralife makes 5-10 million dollars a year in revenue on their floral preservative product. Is that well-spent money by florists and consumers? Maybe not. Want to bust this myth? Try this science experiment yourself! Flowers are an expensive perishable purchase used to decorate at special events like weddings as well as a gift for occasions like Christmas, birthdays and Mother’s Day. How can fresh cut flowers be made to last as long as possible? Does one solution work the best for most types? Florists offer special mixtures for consumers, and there are a variety of homemade ideas for keeping them fresh. Because the value of this product increases the longer they are able to be used, finding out the answer to this question has importance to both the industry and to consumers. Problem: Which solution will keep flowers the fresh for display the longest. Hypothesis: I do not think that the florist additive is necessary to keep them ready for display the longest. I think that some of the home remedies will work just as well. My hypothesis is that 7-up will make them last the longest because it not only has sugar to nourish it but also other chemicals that I think will prevent bacteria from growing and damaging the plant. 1. 30 Bellis Perennis (daisies) will be purchased from the same source at the same time to ensure they are of the same freshness as the start of the experiment. 2. Wearing gloves, goggles and a protective lab coat, the following solutions will be mixed in the 10-pint jars using the TB spoon and 8 oz. cup. Hands will be washed following making each mixture. 8 oz. tap water and 1 teaspoon salt. 8 oz. of tap water and 1 aspirin pill. 8 oz. tap water and 1 TB Clorox bleach. 8 oz. tap water and 1 TB cider vinegar and 1 TB sugar. 8 oz. tap water and 1 TB sugar. 8 oz. tap water and 1 TB of Listerine mouthwash. 8 oz. tap water and 1 TB Floralife. 3. Using the best practices of florists, the flower stems will be placed under lukewarm water and cut at a 45-degree angle, then placed in the solutions. Three specimens will be placed in each of the 10 solutions. Hands will be washed after handling them. 4. According to the best practices of florists, the flower stems will be re-cut and placed in fresh solutions every 2 days. 5. The condition of each specimen will be observed once each day and recorded for 14 days, or until none remain in the vases. The number of flowers remaining in each solution will be recorded daily. Notes will be made about whether a specimen is wilted, brown around the edges or drooping. 6. After their condition is recorded, specimens which are wilted, brown on the edges or drooping will be removed from their containers to prevent any bacteria from hurting the others in the container. 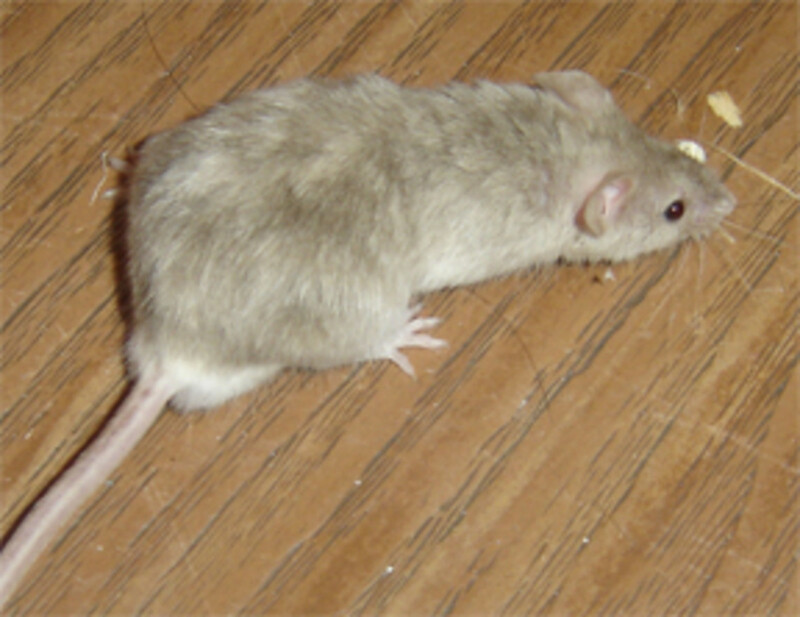 Remaining specimens will continue in the experiment. 7. A chart indicating how long each flower remained fresh in each solution will be created. Photos will also be taken to demonstrate the changes. A written journal which describes each day will also be kept. Tap water (negative control), aspirin water, and Listerine also kept them fresh for 7 days. All of the other homemade solutions found in my research did worse than tap water. 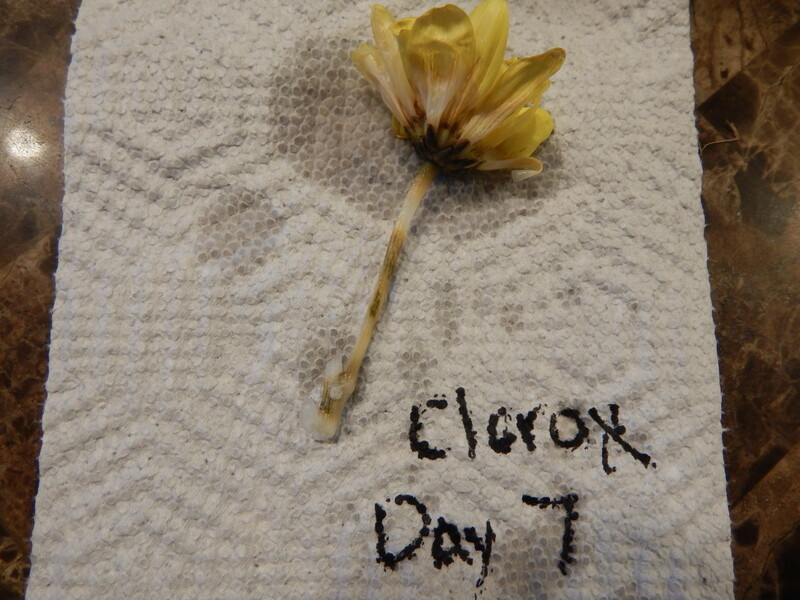 In fact, most of the ones in Clorox, salt, salt and vinegar and distilled water solutions reached Stage 4 in less than 7 days and showed significant wilting and color change quickly by day 4. All of the other homemade solutions found in my research did worse than tap water. In fact, most of the ones in Clorox, salt, salt and vinegar and distilled water solutions reached Stage 4 in less than 7 days and showed significant wilting and color change quickly by day 4. By 14 days, the sugar water specimens were freshest. 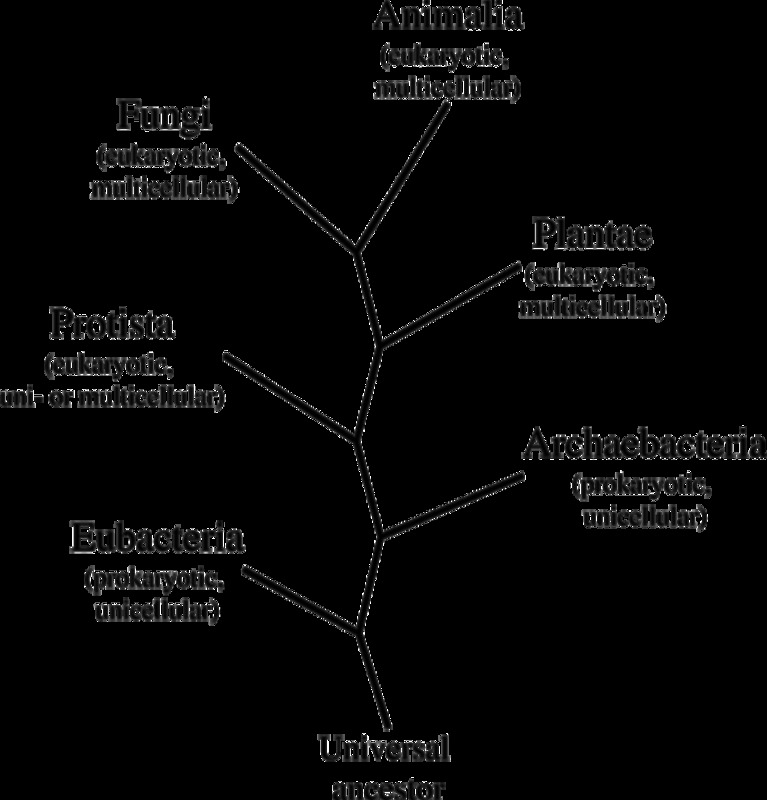 One 7-Up specimen was brown in the center, and all Floralife specimens had brown centers. At 21 days, the sugar water ones still had no browning but did have a significant wilt. The 7-Up specimens had wilted. The Floralife ones had the same brown spots but the petals had not wilted. In conclusion, contrary to the Floralife research which showed their product as better than alternatives, my experiment found that sugar water or 7-Up both work to keep flowers looking fresh the longest. Therefore, consumers and florists could save money by using sugar rather than expensive floral additives. Jones, Rod. "Caring for Cut Flowers." Google Books. Landlinks Press, 23 Mar. 2001. Web. 01 Dec. 2014. Halevy, A. .H. “Treatments to Improve Water Balance of Cut Flowers” Acta Hort. Acta Hort. (1976) 64:223-230. http://www.actahort.org/books/64/64_29.htm. Kumar Pun, Umed, and Kazuo Ichimura. "Role of Sugars in Senescence and Biosynthesis of Ethylene in Cut Flowers. "JARQ37.4 (2003): 219-24. Web. Nell, Terril. "Best Practices For Shipping & Storage of Fresh Cut Flowers. "Molecular Therapy6.6 (2002): 697.Floralife. Web. Owen, Marion. "Flowers: Preserving Fresh Cut Flowers--Naturally. "Flowers: Preserving Fresh Cut Flowers--Naturally. PlanTea, 1 Jan. 1996. Web. 1 Dec. 2014. Ranwala, Anil. "How to Conduct Fresh Cut Flower Vase Life Experiments. "Research Update 11.9 (2009):Floralife. Web. Ranwala, Anil. “Commercial Flower Food vs. Homemade Recipes.” Research Update 9.12 (2007). Floralife. Web. "How to Keep Flowers Fresh. "How to Keep Flowers Fresh. Clorox. Web. 1 Dec. 2014. My daughter Mollie designed this as a 7th-grade student with the help of her dad, who is a biologist. He helped her to create the Excell graphs which really showed her data well. 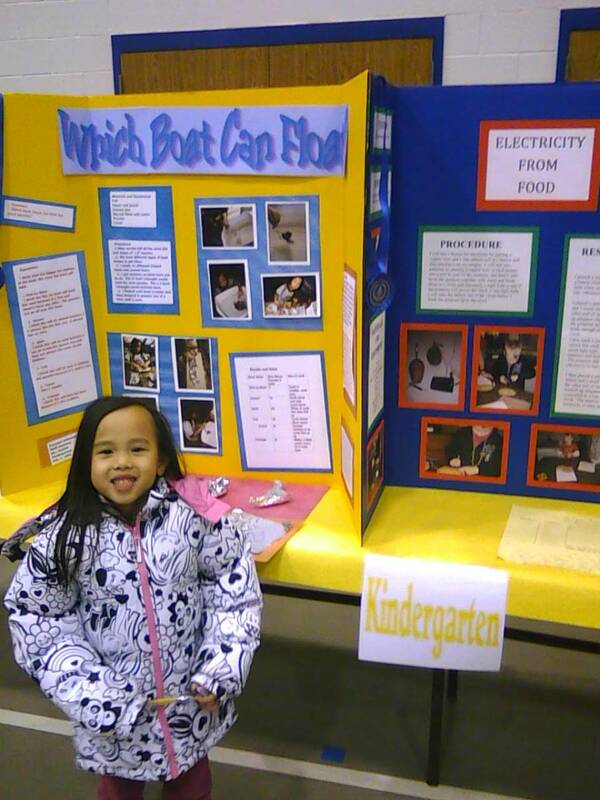 She won the School and Regional Science contests and went on to compete in Plant Sciences at the State level. In researching for this article, I found that another girl in the 2009 California State Science Fair had done a similar experiment using roses. She also concluded that 7-up was the best. Use a different cut flower like carnations, or use the greenery used in floral arrangements. Use 2-3 different specimens in the experiment. Pick just 3 solutions but use them for a whole bouquet of different types (which would simulate better the way that these are really used. You might see if you can get leftover wedding arrangements for this. Since 7-up seems to have been a good floral preserver, try using several different types of soft drinks instead of the other homemade solutions. Use 2-3 different floral preservative solutions and test them against plain water. Listen to the videos and choose one of the other procedures they suggest, like cutting off leaves below the water line and experiment with how that helps or hurts how long they last. 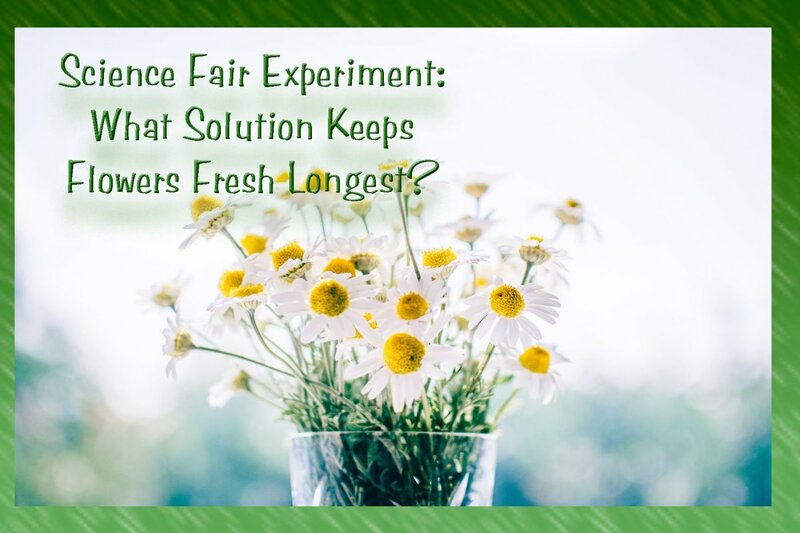 The purpose of the experiment was testing which solution keeps cut flowers fresh the longest. 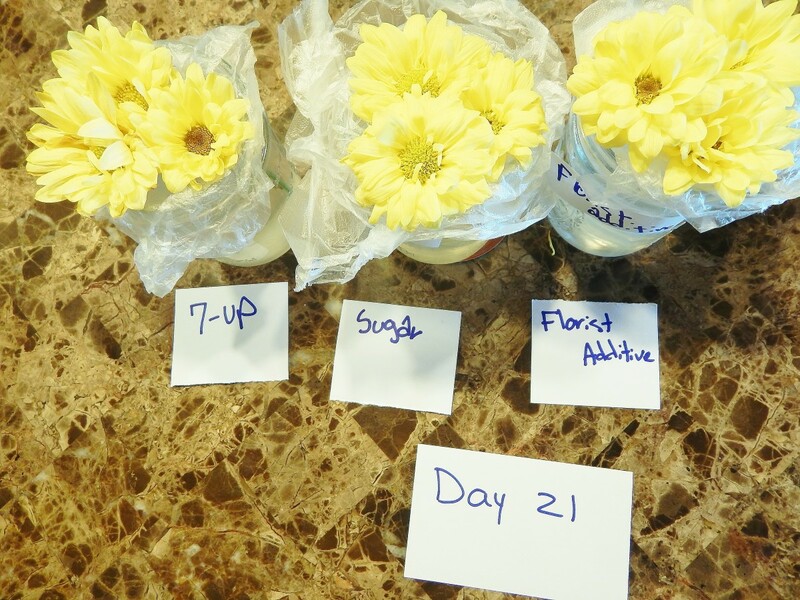 Procedure: The experiment tests 10 different solutions, each of which has been claimed to keep flowers fresh. Tap water was the negative control and sugar water was the positive control. 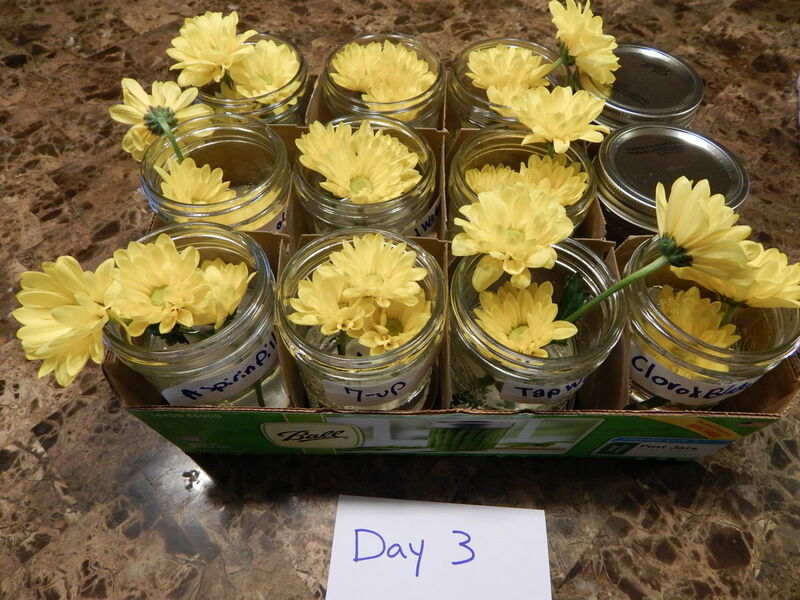 Three Bellis Perennis (daisies) were cut at a 45-degree angle and placed in 10 jars with different solutions. Following the best practices of florists, they were re-cut every two days and placed in fresh solutions. They were observed daily and their appearance was evaluated on a 4-point scale, with 1 representing a fresh cut, and 4 representing a significantly wilted one, browned, drooping and no longer fit for display. Results: The solutions made by adding Listerine, vinegar, salt, Clorox, and aspirin made them wilt faster than tap water. Distilled water was not as good as tap water. Both 7-up and the floral additive solutions made them last for 21 days, just like the positive control, sugar water. 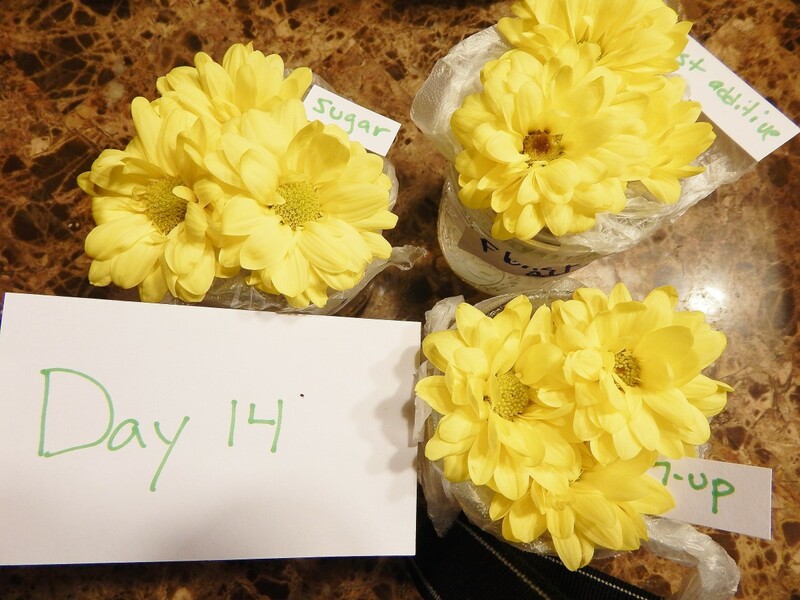 However, flowers in the floral additive got brown spots in the center at day 14, while those in 7-up and sugar water seemed firmer and better looking than fresh cut. Conclusion: Most homemade solutions are not as good as tap water, but both 7-up and sugar water are more effective than floral additives at keeping flowers fresh longer. How would "Do cut daisies need cold or warm water?" work as a science fair project? That is a very interesting possible question. Of course, the water would not stay warm, but it might be interesting to try an experiment where you replaced the water every day and one set of daisies got cold, refrigerated water and the other set got warm tap water. In our experiment, all of the liquids were at room temperature. 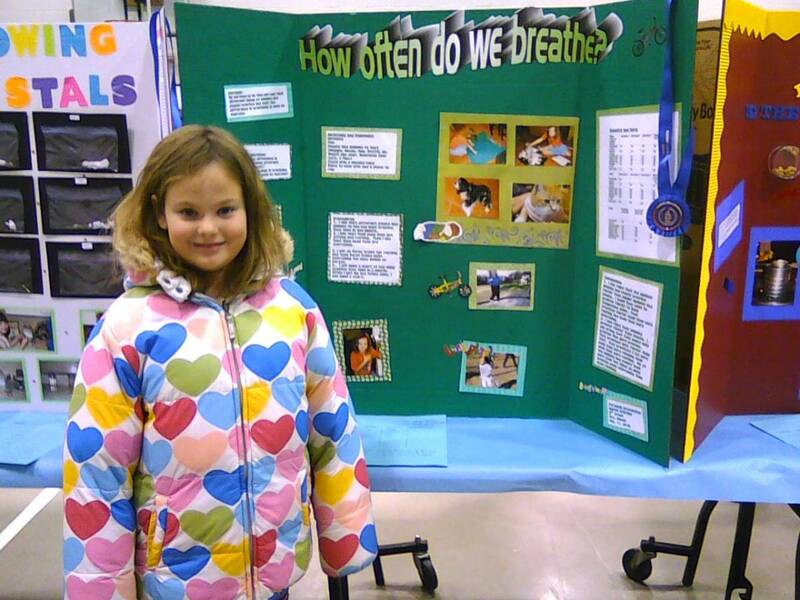 How did you present your data in your flower science fair project? Use a chart or table to present the information and then write a narrative to explain it. How long does it take for the whole science fair project? The flower additive is not too expensive. They give you packets of it usually when you buy cut flowers. We bought ours on Amazon. I will put a link for the kind we bought in the article. Good idea! This is great! I'm helping my niece with her science project (which is very similar to this one) :) what were the negative and positive controls and what was their purpose in this experiment? So Lee--You will need to decide for yourself what you will determine to be the stages. You can look for browning, wilting or losing petals. hi! im also doing a science fair project similar to this and i was wondering what the criteria were for a flower to be in the different stages? to word this question better, how would you know if a flower was in stage 1 or stage 2 and what are the different stages? Christina--That is so interesting! I do the same. 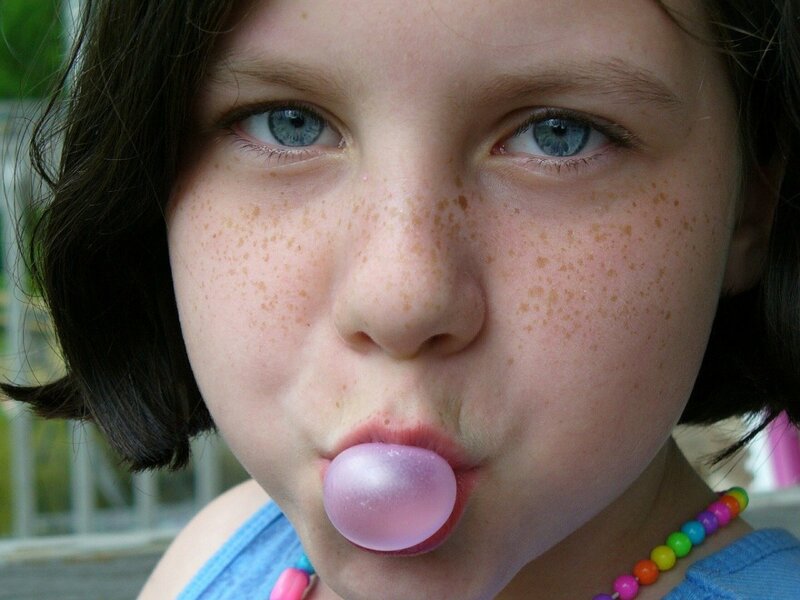 Mrs. Kearney-- I did this exact experiment for a science fair back in middle school and received the same results. I still to this day use 7-Up or sugar in my fresh flowers and I am alway pleased with the result. thanks.. this science fair project help me to achieve my goals in life..
Hi, Erica--I'm glad your daughter did this for her project! I actually am not an expert at Excell myself. I can't actually remember how we got the graph to work. I wish I could help you but I don't remember having that problem. we did this for my daughters project but i am having trouble getting and excel graph created.... any suggestions? i see what you have above but when i put how many days in the cells but when i convert to a graph it doesnt work. Hi Shirlene--I'd love to hear what you did differently. 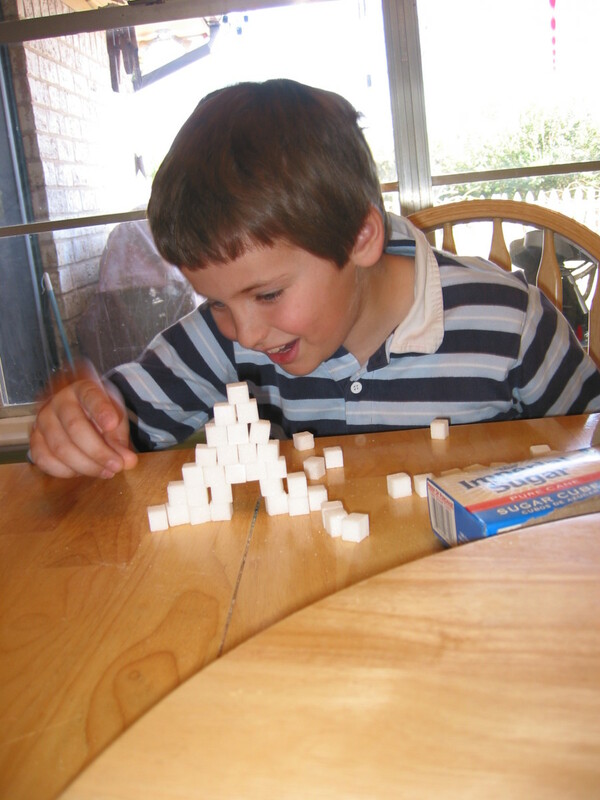 I wish I would've had these experiments back whenever I had to do Science Fair!! Yes--I was very interested in the results of this experiment and although I am still using the Floralife we bought for the experiment, I think that I will use 7-Up in the future. What is interesting is that this really contradicts the research done by the companies who make floral preservatives but it does back up the scientific experiments which seem to suggest that adding a sugar and something which suppresses the development of bacteria (presumably that is the citric acid in the 7-Up) probably is the best combination. These great results are good news!